I had the recent pleasure of accompanying writer Lenora Todaro on a trip to Green-Wood Cemetery to see the wild parrots. She interviewed a bunch of New Yorkers — including myself — on what these interesting interlopers are up to, and what they can teach us about living in New York City. Lenora’s well-written, thought-provoking article, published to the Catapult Website, was published today. What’s up with the safaris? 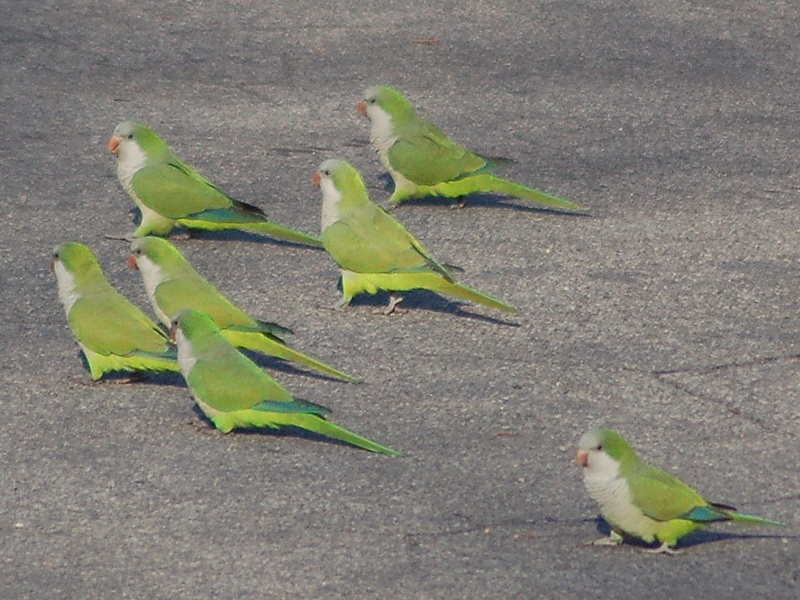 A number of you have written me asking about when the next wild parrot safari will happen in Brooklyn. This question is a natural one to ask, given that the last safari we did was in November, and no safaris were scheduled for December of 2018 or January 2019. Unfortunately, the last couple of safaris we did weren’t great. In both locations (Brooklyn College and Green-Wood Cemetery), the birds were difficult — if not impossible — to observe at close-range. 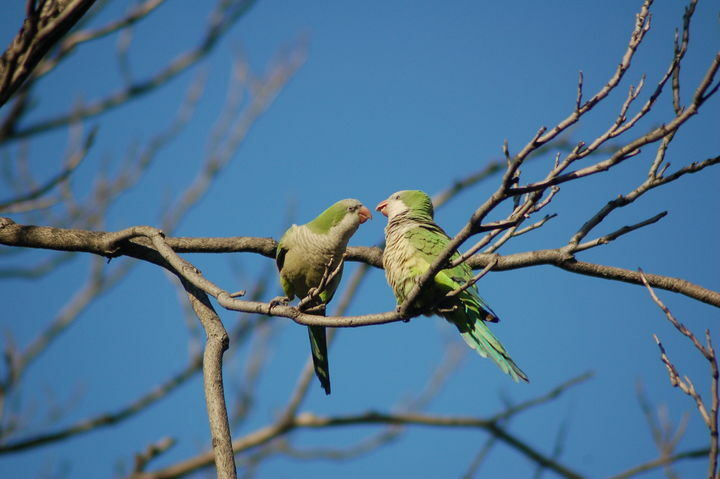 I’ve been doing these safaris for a long time (since 2005) and would like to continue them, given that the public seems to enjoy them and because I believe it’s a good thing to share news about the delightful parrots that have made Brooklyn home. At the same time, however, there’s no point doing safaris that result in disappointed guests. 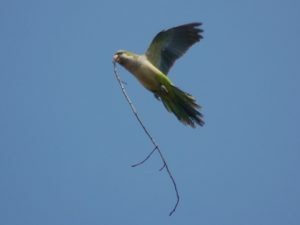 So for the time being at least, BrooklynParrots.com’s wild parrot safaris are suspended. This will give me time to get out and do a more thorough investigation into why the parrots have suddenly become so elusive. I don’t suspect anything sinister is afoot (although I haven’t ruled that out either because many sinister things have happened to them in the past), but I do believe that recent changes in the ecosystem in Brooklyn have something to do with them suddenly being so hard to spot. I hope to have more information for you all soon (after the New Year) and will report these findings here. Please understand that my desire is to keep these safaris going but I really need to find out more about what’s happening with the parrots before I schedule any more dates. 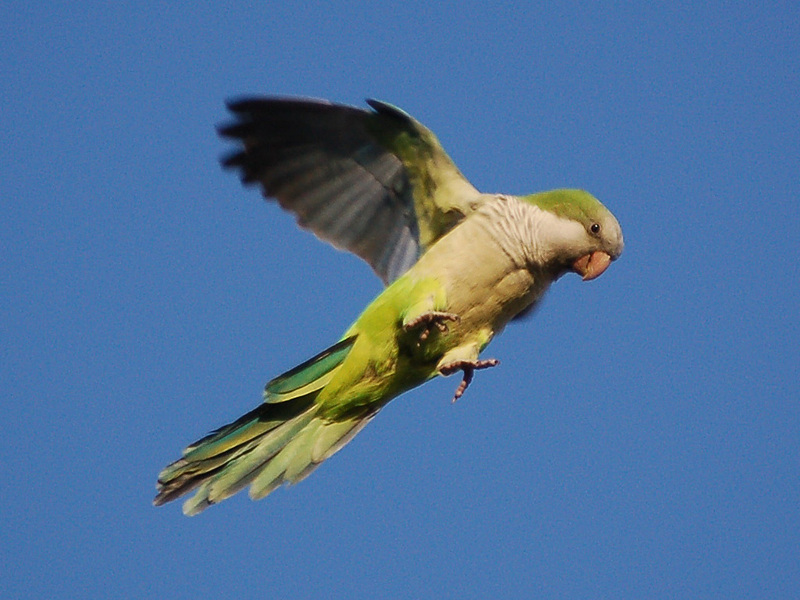 The wonderful folks at BRIC Arts Media made a nice video on the Brooklyn Parrots (AKA Monk Parakeets) that just came out today. I hope you enjoy it — BTW BRIC is a great institution whose mission is to bring today’s tech-centric tools of expression to the larger community. Please support them! 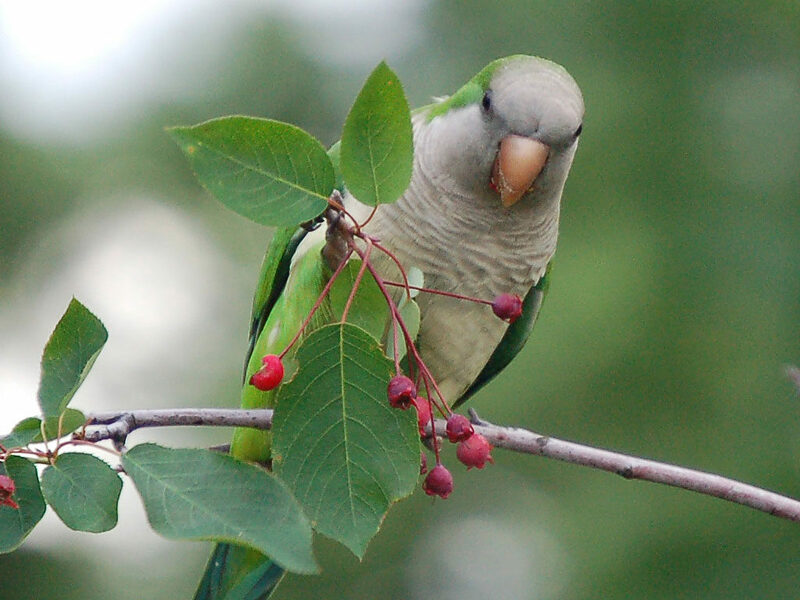 Next month we’re going to change things up a bit – we’ll be holding our monthly wild parrot safari at Green-Wood Cemetery. So if you’re interested in seeing and learning about the parrots, please join us on Saturday, November 3rd, at 11:00 AM at 25th Street and 5th Avenue in Brooklyn. This location is convenient for public transportation riders – just take the R train to the 25th Street Stop and walk a block east (uphill). If you’d like to attend this Safari, please send email to stephencarlbaldwin (at) gmail.com. This way, I know how many folks to expect and can notify you in advance if the safari must be cancelled for some reason (e.g. bad weather). 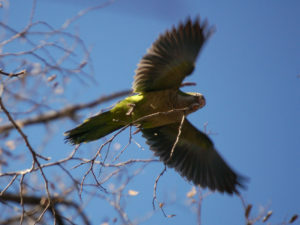 Brooklyn Parrots on (and in) the air! What happens when a well-intended effort to provide refuge for hundreds of abandoned, abused, and displaced birds falls apart due to the refuge owner’s death? Ben Life’s film tells the story of a how a heart-breaking situation was ultimately averted by the heroic efforts of a team of volunteers participating in what would become known as Canada’s largest animal rescue effort. If you’re feeling pessimistic these days about the human race, watch Ben’s film. 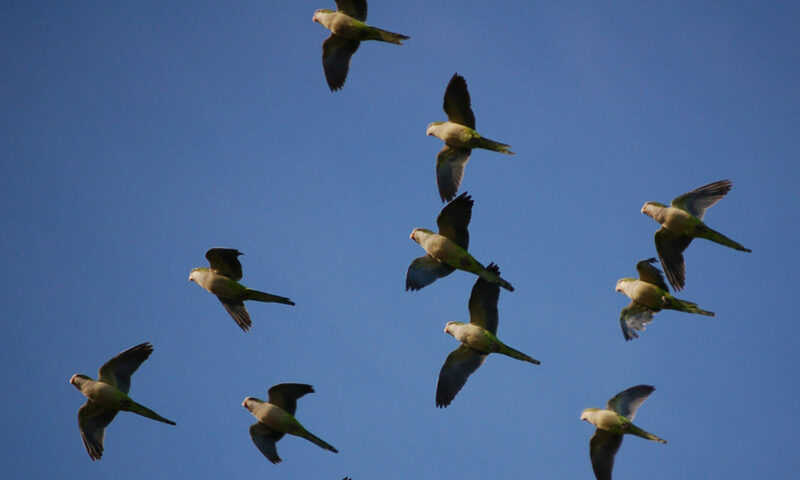 I recently had the opportunity to give a talk for Phoenix Landing — an all-volunteer organization dedicated to the well-being of parrots that’s based in Asheville, North Carolina. During the Q&A, a gentleman in the audience asked me where he could find my book, and I then realized that it’s almost impossible to find it, unless one goes to Amazon.com and types “brooklyn parrots” into the search bar. 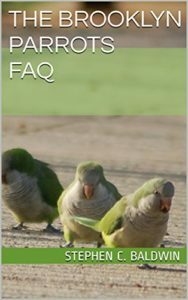 So here’s a direct link to the one and only Brooklyn Parrots FAQ, authored by yours truly. It’s electronic (I may do a hard copy version in the future but this will have to do for now), priced at a rock-bottom $4.99, and available now. If you’d like to support my free safaris in Brooklyn, buying the book will help (just click on the image). As you can tell, we’re doing renovations this week on brooklynparrots.com. Hope to have things up and running soon — thanks for your patience.